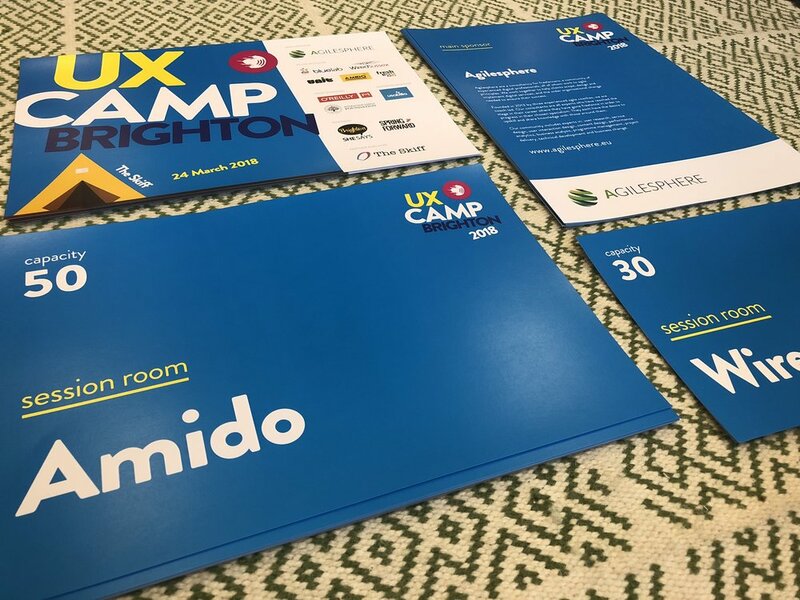 Now in its eighth year, UX Camp Brighton is a one-day event for people to share, discuss and learn about UX in an open and supportive environment. Around 120 UXers will attend #uxcb19, making it one of the biggest UX camps in the country. This year’s event will take place in the now familiar Skiff co-working space on Saturday 9th March 2019. We’re looking for sponsors to help us make this non-profit community event the best of its kind in the UK! Our thanks once again go to Agilesphere, who will be returning as our main sponsor for a third year running in 2019. Check out their sponsorship page for more details and information about how you could work with them. We have five rooms available at £250 per room. Have a product or service our attendees would love? Each year we give away books, software, and online subscriptions as part of our event-ending UX Quiz, donated by generous prize sponsors. If you have a prize-worthy product you’d like to share with UX Camp Brighton attendees, contact our team and we’ll get the ball rolling! Thanks, as ever, go to The Skiff who will be letting us take over their wonderful space for the whole day in March. If you're suffering from cabin fever working for yourself at home, you should try their "Happier Homeworking" course.